A classroom in the sky! The Channel Seven Wheel of Brisbane certainly is a feat of engineering and design and is perfect for a school excursion for all ages. 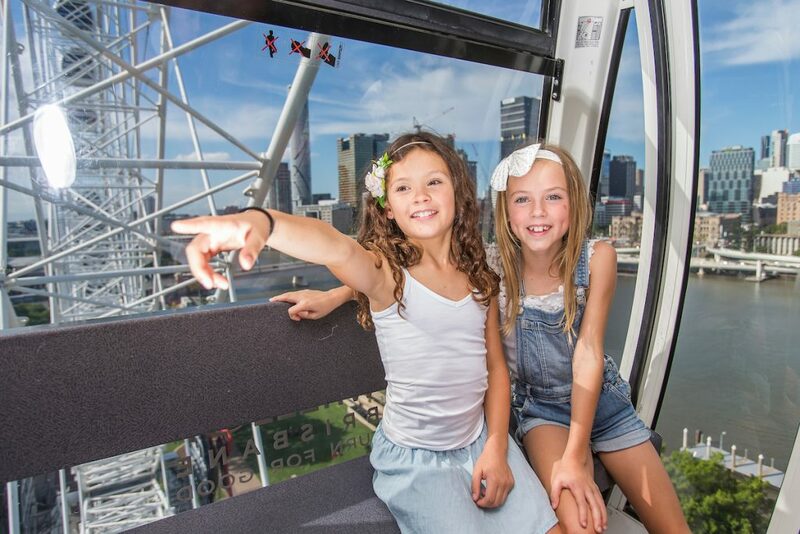 Take your classroom to the sky as you learn about our city whilst rotating 60 metres above the Brisbane River. Junior School – 1 teacher/carer per 7 students. Additional teachers/carers wishing to ride will be charged at a discounted rate of $15 each. Ready to book ? There are a couple things we want you to know. Kids under 12 years old must be supervised, so you will need to bring 1 teacher/parent helper for every 7 students. Senior school students do not require a chaperone on the Wheel, however we offer accompanying teachers a free ride at the above ratio. All bookings must be made in advance via the web form on this page. The school will be invoiced once the booking is submitted online. Invoices must be paid 48 hours prior to arrival. No refunds are given in the event that children do not arrive on the day. Confirmation of numbers is required 10 days prior to arrival.